ESBLs are the enzymes able to confer resistance against the broad spectrum cephalosporins (3rd generations) and monobactams; but not cephamycins and carbapenems and having a minimum of 10% hydrolysis rates as that of benzylpenicillins, and these enzymes are inhibited by β-lactamase inhibitors such as clavulanate [1Naas T, Poirel L, Nordmann P. Minor extended-spectrum β-lactamases. Clin Microbiol Infect 2008; 14(Suppl. 1): 42-52. [http://dx.doi.org/10.1111/j.1469-0691.2007.01861.x] [PMID: 18154527] ]. ESBLs are frequently detected in Klebsiella pneumoniae and E. coli; however, other ESBL producing isolates of Enterobacteriaceae (such as K. oxytoca, Proteus mirabilis, Salmonella spp. etc) and Pseudomonas aeruginosa are also identified [2Polsfuss S, Bloemberg GV, Giger J, Meyer V, Böttger EC, Hombach M. Evaluation of a diagnostic flow chart for detection and confirmation of extended spectrum β-lactamases (ESBL) in Enterobacteriaceae. Clin Microbiol Infect 2012; 18(12): 1194-204. [http://dx.doi.org/10.1111/j.1469-0691.2011.03737.x] [PMID: 22264296] , 3Tenover FC, Mohammed MJ, Gorton TS, Dembek ZF. Detection and reporting of organisms producing extended-spectrum β-lactamases: Survey of laboratories in Connecticut. J Clin Microbiol 1999; 37(12): 4065-70. [PMID: 10565933] ]. Initially, the resistance properties are attributed to the dissemination of TEM and SHV types, but nowadays CTX-M type has become predominant [1Naas T, Poirel L, Nordmann P. Minor extended-spectrum β-lactamases. Clin Microbiol Infect 2008; 14(Suppl. 1): 42-52. [http://dx.doi.org/10.1111/j.1469-0691.2007.01861.x] [PMID: 18154527] , 4Pitout JDD, Nordmann P, Laupland KB, Poirel L. Emergence of Enterobacteriaceae producing Extended-Spectrum β-Lactamases (ESBLs) in the community. J Antimicrob Chemother 2005; 56(1): 52-9. [http://dx.doi.org/10.1093/jac/dki166] [PMID: 15917288] ]. Since they are plasmid mediated and transposon associated it takes no time for them to transfer to several members of Enterobacteriaceae [2Polsfuss S, Bloemberg GV, Giger J, Meyer V, Böttger EC, Hombach M. Evaluation of a diagnostic flow chart for detection and confirmation of extended spectrum β-lactamases (ESBL) in Enterobacteriaceae. Clin Microbiol Infect 2012; 18(12): 1194-204. [http://dx.doi.org/10.1111/j.1469-0691.2011.03737.x] [PMID: 22264296] , 3Tenover FC, Mohammed MJ, Gorton TS, Dembek ZF. Detection and reporting of organisms producing extended-spectrum β-lactamases: Survey of laboratories in Connecticut. J Clin Microbiol 1999; 37(12): 4065-70. [PMID: 10565933] ]. Plasmid mediated ESBL is of global concern because of its unfavorable clinical and economic outcomes [5Apisarnthanarak A, Kiratisin P, Mundy LM. Clinical and molecular epidemiology of healthcare-associated infections due to extended-spectrum β-lactamase (ESBL)-producing strains of Escherichia coli and Klebsiella pneumoniae that harbor multiple ESBL genes. Infect Control Hosp Epidemiol 2008; 29(11): 1026-34. [http://dx.doi.org/10.1086/591864] [PMID: 18947321] , 6Wei ZQ, Chen YG, Yu YS, Lu WX, Li LJ. Nosocomial spread of multi-resistant Klebsiella pneumoniae containing a plasmid encoding multiple beta-lactamases. J Med Microbiol 2005; 54(Pt 9): 885-8. [http://dx.doi.org/10.1099/jmm.0.46151-0] [PMID: 16091442] ]. The resistance attributes of ESBL producers toward 3rd generation cephalosporins and other antibiotics make it difficult in the treatment of infections [4Pitout JDD, Nordmann P, Laupland KB, Poirel L. Emergence of Enterobacteriaceae producing Extended-Spectrum β-Lactamases (ESBLs) in the community. J Antimicrob Chemother 2005; 56(1): 52-9. [http://dx.doi.org/10.1093/jac/dki166] [PMID: 15917288] ]. Pokhrel et al. [7Pokhrel BM, Koirala J, Mishra SK, Dahal RK, Tuladhar PKN. Multidrug resistance and extended spectrum beta lactamase producing strains causing lower respiratory tract and urinary tract infection. J Inst Med 2006; 28: 19-27.] reported ESBL producers (24.27%) for the first time in Nepal. Since then, the rate of detection of ESBL producers is increasing rapidly. In the developing country like Nepal, where there is rapid irrational use of antibiotics [7Pokhrel BM, Koirala J, Mishra SK, Dahal RK, Tuladhar PKN. Multidrug resistance and extended spectrum beta lactamase producing strains causing lower respiratory tract and urinary tract infection. J Inst Med 2006; 28: 19-27. ], the problem of antimicrobial resistance is growing day by day. Many studies have been performed in the field of ESBL in Nepal. However, there is limited study on the major types of genes causing the wide spread of ESBL that explains the epidemiological features of ESBL producing microorganisms [8Pokhrel RH, Thapa B, Kafle R, Shah PK, Tribuddharat C. Co-existence of beta-lactamases in clinical isolates of Escherichia coli from Kathmandu, Nepal. BMC Res Notes 2014; 7: 694. [http://dx.doi.org/10.1186/1756-0500-7-694] [PMID: 25287013] ]. It is indeed important to study the prevalence of ESBL in national and global level in order to know their resistance pattern and types of ESBL being circulated in those regions that would aid in the treatment of the infections promptly. The purpose of this study was to determine the frequency of ESBL producing Enterobacteriaceae and characterize plasmid mediated TEM, SHV and CTX-M types among the ESBL producing clinical isolates belonging to Enterobacteriaceae. The screening was done by disc diffusion technique using cefotaxime (30 µg), ceftazidime (30 µg), ceftriaxone (30 µg), aztreonam (30 µg). For confirmation, combined disc test was performed using cefotaxime (30 µg) and ceftazidime (30 µg) alone, and cefotaxime + clavulanic acid (20µg/10 µg) and ceftazidime + clavulanic acid (20µg/10 µg) [10Clinical and Laboratory Standards Institute. Performance Standards for Antimicrobial Susceptibility Testing: Twenty-fourth Informational Supplement M100-S24Wayne, PA, USA 2014.]. From confirmed ESBL producers, plasmids were extracted using standard alkaline hydrolysis method [11Sambrook J, Russell DW. Molecular Cloning: A Laboratory Manual. 3rd. New York: Cold Spring Harbor 2001.]. These plasmids served as the template for PCR. PCR amplification was carried out using blaTEM [12Sharma J, Sharma M, Ray P. Detection of TEM & SHV genes in Escherichia coli & Klebsiella pneumoniae isolates in a tertiary care hospital from India. Indian J Med Res 2010; 132: 332-6. [PMID: 20847381] ], blaSHV [13Varkey DR, Balaji V, Abraham J. Molecular characterisation of extended spectrum beta lactamase producing strains from blood sample. Int J Pharm Pharm Sci 2014; 6: 276-8. ], blaCTX-M [13Varkey DR, Balaji V, Abraham J. Molecular characterisation of extended spectrum beta lactamase producing strains from blood sample. Int J Pharm Pharm Sci 2014; 6: 276-8.] specific primers (Macrogen, Korea). For gene amplification, 1.5 µl plasmid DNA was added to 25 µl mixture containing 13 µl master mix (Solis Biodyne, Estonia), 10.5 µl nuclease free water and 0.5 µl each of reverse and forward primers. PCR was performed in 5 Prime/02 thermocycler, Bibby Scientific, U.K. using optimized condition. Prevalence of ESBL positive organisms. Antibiotic resistance pattern of ESBL producers. Overall Prevalence of bla genes. Out of 550 non-duplicate samples, 343 (62.36%) were culture positive and of these 157 (45.57%) isolates belonged to Enterobacteriaceae family which is in accordance with the study of Pokharel et al. [8Pokhrel RH, Thapa B, Kafle R, Shah PK, Tribuddharat C. Co-existence of beta-lactamases in clinical isolates of Escherichia coli from Kathmandu, Nepal. BMC Res Notes 2014; 7: 694. [http://dx.doi.org/10.1186/1756-0500-7-694] [PMID: 25287013] ]. Of these, 33.2% (52/157) were ESBL producers which were found to be in agreement with the previous study in Nepal [14Mishra SK, Awal BK, Kattel HP, et al. Drug resistant bacteria are growing menace in a University Hospital in Nepal. Am J Epidemiol Infect Dis 2014; 2: 19-23.]. ESBL producing strains were high among E. coli (52.8%) in this study which agrees with the previous study of Nepal [15Shrestha RK, Dahal RK, Mishra SK, et al. Ventilator associated pneumonia in tertiary care hospital, maharajgunj, kathmandu, nepal. J Inst Med 2013; 35: 21-8.]. However, another study from Nepal has reported that Klebsiella spp. were the predominant ESBL producers [16Chander A, Shrestha CD. Prevalence of extended spectrum beta lactamase producing Escherichia coli and Klebsiella pneumoniae urinary isolates in a tertiary care hospital in Kathmandu, Nepal. BMC Res Notes 2013; 6: 487. [http://dx.doi.org/10.1186/1756-0500-6-487] [PMID: 24274894] ]. In our study, none of the isolates of C. freundii, and S. Typhi were ESBL positive which was contrary to other studies [17Khanna A, Singh N, Aggarwal A, Khanna M. The antibiotic resistance pattern in Citrobacter species: An emerging nosocomial pathogen in a tertiary care hospital. J Clin Diagn Res 2012; 6: 642-4., 18Poudel P, Poudel P, Adhikari N, Shah PK. Multi-drug resistant bacterial isolates associated with blood stream infection. Am Sci Res J Eng Technol Sci 2015; 14: 23-52.]. It might be because of the less number of isolates [19Metri BC, Jyothi P, Peerapur BV. The prevalence of ESBL among Enterobacteriaceae in a tertiary care hospital of North Karnataka, India. J Clin Diagn Res 2011; 5: 470-5.]. This study showed imipenem to be the most effective drug against ESBL producers which is similar to other studies of Nepal [16Chander A, Shrestha CD. Prevalence of extended spectrum beta lactamase producing Escherichia coli and Klebsiella pneumoniae urinary isolates in a tertiary care hospital in Kathmandu, Nepal. BMC Res Notes 2013; 6: 487. [http://dx.doi.org/10.1186/1756-0500-6-487] [PMID: 24274894] , 20Raut S, Gokhale S, Adhikari B. Prevalence of extended spectrum beta-lactamases among Escherichia coli and Klebsiella spp isolates in Manipal Teaching Hospital, Pokhara, Nepal. J Microbiol Infect Dis 2015; 5: 69-75. [http://dx.doi.org/10.5799/ahinjs.02.2015.02.0179] ]. Similarly, amikacin (AK), Gentamicin (GEN) and piperacillin/tazobactam (PIT) also showed good activity against ESBL producers in this study. Different studies have shown different resistant pattern against these three dugs (AK 4.2%-65.4%, PIT 37.1%- 78.18%, GEN 8.3%-83.3%) [8Pokhrel RH, Thapa B, Kafle R, Shah PK, Tribuddharat C. Co-existence of beta-lactamases in clinical isolates of Escherichia coli from Kathmandu, Nepal. BMC Res Notes 2014; 7: 694. [http://dx.doi.org/10.1186/1756-0500-7-694] [PMID: 25287013] , 21Segar L, Kumar S, Joseph NM, Sivaraman U. Prevalence of extended spectrum beta lactamases among enterobacteriaceae and their antibiogram pattern from various clinical samples. Asian J Pharm Clin Res 2015; 8: 220-3.-23Nakhaei Moghaddam M, Forghanifard MM, Moshrefi S. Prevalence and molecular characterization of plasmid-mediated extended-spectrum β-lactamase genes (blaTEM, blaCTX and blaSHV) among urinary Escherichia coli clinical isolates in Mashhad, Iran. Iran J Basic Med Sci 2012; 15(3): 833-9. [PMID: 23493415] ]. In our study, most of the ESBL producers were resistant against ceftazidime (92.3%), cefotaxime (96.2%) and ceftriaxone (88.5%) attributable to the definition of ESBL. These findings were similar to that of Segar et al. [21Segar L, Kumar S, Joseph NM, Sivaraman U. Prevalence of extended spectrum beta lactamases among enterobacteriaceae and their antibiogram pattern from various clinical samples. Asian J Pharm Clin Res 2015; 8: 220-3.]. High resistance rate against the cefotaxime might be due to 100% CTX-M type. Some studies in Nepal have reported low resistance pattern towards these 3rd generation cephalosporins (CAZ 64.8%, CTX 64.4%, CTR- 63.6%) [20Raut S, Gokhale S, Adhikari B. Prevalence of extended spectrum beta-lactamases among Escherichia coli and Klebsiella spp isolates in Manipal Teaching Hospital, Pokhara, Nepal. J Microbiol Infect Dis 2015; 5: 69-75. [http://dx.doi.org/10.5799/ahinjs.02.2015.02.0179] ] while some studies showed 100% resistant ESBL producers [8Pokhrel RH, Thapa B, Kafle R, Shah PK, Tribuddharat C. Co-existence of beta-lactamases in clinical isolates of Escherichia coli from Kathmandu, Nepal. BMC Res Notes 2014; 7: 694. [http://dx.doi.org/10.1186/1756-0500-7-694] [PMID: 25287013] , 16Chander A, Shrestha CD. Prevalence of extended spectrum beta lactamase producing Escherichia coli and Klebsiella pneumoniae urinary isolates in a tertiary care hospital in Kathmandu, Nepal. BMC Res Notes 2013; 6: 487. [http://dx.doi.org/10.1186/1756-0500-6-487] [PMID: 24274894] ]. Similarly, our study showed that half of the ESBL producers were resistant towards 4th generation cephalosporins, the cefipime. The genes encoding the ESBL are often present in large plasmids and hence largely responsible for disseminating genes via conjugation [24Fernandes R, Amador P, Oliveira C, Prudêncio C. Molecular characterization of ESBL-producing Enterobacteriaceae in northern Portugal. Sci World J 2014; 2014: 782897. [http://dx.doi.org/10.1155/2014/782897] [PMID: 24701189] ]. Many of the plasmid encoded β-lactamases like TEM-1, TEM-2, SHV-1, etc typically have the chromosomal origin and Livermore [25Livermore DM. β-Lactamases in laboratory and clinical resistance. Clin Microbiol Rev 1995; 8(4): 557-84. [http://dx.doi.org/10.1128/CMR.8.4.557] [PMID: 8665470] ], defined such enzymes as “secondary β-lactamase”. In this study, all ESBL producing isolates harbored a certain type of major ESBL genes which is in harmony with the study done in Amsterdam by Reuland et al. [26Reuland EA, Al Naiemi N, Kaiser AM, et al. Prevalence and risk factors for carriage of ESBL-producing Enterobacteriaceae in Amsterdam. J Antimicrob Chemother 2016; 71(4): 1076-82. [http://dx.doi.org/10.1093/jac/dkv441] [PMID: 26755493] ]. Hence the major ESBL genes i.e.blaSHV, blaTEM and blaCTX-M were responsible for the ESBL producing attributes of the isolates. However, Kaur and Aggarwal [27Kaur M, Aggarwal A. Occurrence of the CTX-M, SHV and the TEM genes among the extended spectrum β-lactamase producing isolates of enterobacteriaceae in a Tertiary Care Hospital of North India. J Clin Diagn Res 2013; 7(4): 642-5. [PMID: 23730637] ] have shown the absence of three major types of ESBL genes in the ESBL producing isolates of E. coli (4/59), K. pneumoniae (3/24) and C. freundii (2/2). The absence of the major genes in ESBL producing isolates indicated that the isolates might belong to the minor ESBL types, such as SFO, BES, BEL, TLA, GES, PER and VEB types [1Naas T, Poirel L, Nordmann P. Minor extended-spectrum β-lactamases. Clin Microbiol Infect 2008; 14(Suppl. 1): 42-52. [http://dx.doi.org/10.1111/j.1469-0691.2007.01861.x] [PMID: 18154527] ]. PCR analysis showed 21.1% E. coli, and 83.3% K. pneumoniae and 66.7% K. oxytoca harbored blaSHV gene but this gene was absent in C. koseri. In total, 30.8% of the ESBL producing isolates harbored blaSHV gene. In Brazil [28Nogueira KdaS, Conte D, Maia FV, Dalla-Costa LM. Distribution of extended-spectrum β-lactamase types in a Brazilian tertiary hospital. Rev Soc Bras Med Trop 2015; 48(2): 162-9. [http://dx.doi.org/10.1590/0037-8682-0009-2015] [PMID: 25992930] ] and the Netherlands [29Voets GM, Platteel TN, Fluit AC, et al. Population distribution of Beta-lactamase conferring resistance to third-generation cephalosporins in human clinical Enterobacteriaceae in the Netherlands. PLoS One 2012; 7(12): e52102. 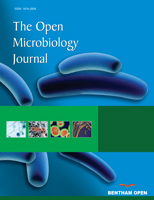 [http://dx.doi.org/10.1371/journal.pone.0052102] [PMID: 23284886] ] the prevalence of SHV type ESBL producing Enterobacteriaceae isolates was reported to be 24.2% and 11% (56/512), respectively. Babini and Livermore [30Babini GS, Livermore DM. Are SHV β-lactamases universal in Klebsiella pneumoniae? Antimicrob Agents Chemother 2000; 44(8): 2230. [http://dx.doi.org/10.1128/AAC.44.8.2230-2230.2000] [PMID: 11023444] ] concluded the ubiquity of blaSHV related gene in K. pneumoniae, in Europe, explained by the presence of the very gene in all confirmed isolates of K. pneumoniae. However, in a study in China, no SHV-type K. pneumoniae was detected [31Du J, Li P, Liu H, Lü D, Liang H, Dou Y. Phenotypic and molecular characterization of multidrug resistant Klebsiella pneumoniae isolated from a University Teaching Hospital, China. PLoS One 2014; 9(4): e95181. [http://dx.doi.org/10.1371/journal.pone.0095181] [PMID: 24740167] ]. In Nepal, 12.5% SHV type ESBL producing E. coli was reported [8Pokhrel RH, Thapa B, Kafle R, Shah PK, Tribuddharat C. Co-existence of beta-lactamases in clinical isolates of Escherichia coli from Kathmandu, Nepal. BMC Res Notes 2014; 7: 694. [http://dx.doi.org/10.1186/1756-0500-7-694] [PMID: 25287013] ] which is lesser than what we reported. Our result is in the line with the study of Yagi et al. [32Yagi T, Kurokawa H, Shibata N, Shibayama K, Arakawa Y. A preliminary survey of extended-spectrum β-lactamases (ESBLs) in clinical isolates of Klebsiella pneumoniae and Escherichia coli in Japan. FEMS Microbiol Lett 2000; 184(1): 53-6. [PMID: 10689165] ] in Japan where they reported 16% SHV-type ESBL- E. coli, but the prevalence is quite less than that reported by Varkey et al. [13Varkey DR, Balaji V, Abraham J. Molecular characterisation of extended spectrum beta lactamase producing strains from blood sample. Int J Pharm Pharm Sci 2014; 6: 276-8.] in India (66% SHV type ESBL- E. coli). In this study, 34.6% of the ESBL producers were TEM type. This prevalence is less than that reported in the study of Moosavian and Deiham [33Moosavian M, Deiham B. Distribution of TEM, SHV and CTX-M Genes among ESBL-producing Enterobacteriaceae isolates in Iran. Afr J Microbiol Res 2012; 6: 5433-9.] in Iran. The current study revealed 26.3%, 33.3% and 83.3% of tested E. coli, K. oxytoca and K. pneumoniae harbored blaTEM gene, whereas only tested C. koseri also harbored blaTEM gene. In Nepal, 29.2% TEM type ESBL producing E. coli was reported [8Pokhrel RH, Thapa B, Kafle R, Shah PK, Tribuddharat C. Co-existence of beta-lactamases in clinical isolates of Escherichia coli from Kathmandu, Nepal. BMC Res Notes 2014; 7: 694. [http://dx.doi.org/10.1186/1756-0500-7-694] [PMID: 25287013] ]. However, the proportion of TEM type ESBL-E.coli in this study was contrary with the study in Iran where 67% ESBL producing E. coli were reported to be TEM type [34Seyedjavadi SS, Goudarzi M, Sabzehali F. Relation between blaTEM, blaSHV and blaCTX-M genes and acute urinary tract infections. J Acute Dis 2016; 5: 71-6. [http://dx.doi.org/10.1016/j.joad.2015.07.007] ]. All the isolates tested in this study harbored blaCTX-M gene (100%). It is in harmony with the recent study done in Sierra Leone [35Leski TA, Taitt CR, Bangura U, et al. High prevalence of multidrug resistant Enterobacteriaceae isolated from outpatient urine samples but not the hospital environment in Bo, Sierra Leone. BMC Infect Dis 2016; 16: 167. [http://dx.doi.org/10.1186/s12879-016-1495-1] [PMID: 27090787] ]. A study from Nepal also reported a high prevalence of blaCTX-M gene (95.2%) in comparison to other two bla genes [8Pokhrel RH, Thapa B, Kafle R, Shah PK, Tribuddharat C. Co-existence of beta-lactamases in clinical isolates of Escherichia coli from Kathmandu, Nepal. BMC Res Notes 2014; 7: 694. [http://dx.doi.org/10.1186/1756-0500-7-694] [PMID: 25287013] ]. Varkey et al. [13Varkey DR, Balaji V, Abraham J. Molecular characterisation of extended spectrum beta lactamase producing strains from blood sample. Int J Pharm Pharm Sci 2014; 6: 276-8.] reported high prevalence of TEM type E.coli than CTX-M type (75% vs 71%) but high prevalence of CTX-M type K. pneumoniae (85%) than other two types. The study in the USA showed a high prevalence of CTX-M type E. coli since 2005; however K. pneumoniae producing CTX-M type ESBL was reported to increase from 1.7% (2005-2009) to 26.4% (2010-2012) [36Wang G, Huang T, Surendraiah PK, et al. CTX-M β-lactamase-producing Klebsiella pneumoniae in suburban New York City, New York, USA. Emerg Infect Dis 2013; 19(11): 1803-10. [http://dx.doi.org/10.3201/eid1911.121470] [PMID: 24188126] ]. Though CTX-M type E. coli are community acquired, Nicholas-Chanoine et al. [37Nicolas-Chanoine MH, Jarlier V, Robert J, et al. Patient’s origin and lifestyle associated with CTX-M-producing Escherichia coli: A case-control-control study. PLoS One 2012; 7(1): e30498. [http://dx.doi.org/10.1371/journal.pone.0030498] [PMID: 22299043] ] showed that the origin of patients, their lifestyles and health care systems are independently associated with isolation of CTX-M type E. coli. Prevalence of bla genes either alone or in combination. In this study 28 out of 52 (53.9%) isolates harbored multiple bla genes, the most common combination type being blaCTX-M + blaTEM (21.2%) and 19.2% of the isolates harbored blaCTX-M + blaSHV gene, whereas 13.5% of the isolates harbored all three types of bla genes. blaSHV + blaTEM genotypic combination was not detected. Complex antibiotic resistance pattern might be the result of the presence of multiple genotypes [38Polse RF, Yousif SY, Assafi MS. Prevalence and molecular characterization of extended spectrum beta-Lactamases-producing uropathogenic Escherichia coli isolated in Zakho, Iraq. J Microbiol Infect Dis 2016; 6: 163-7. [http://dx.doi.org/10.5799/jmid.328863] ]. Remaining isolates (24, 46.1%) were reported to harbor single blaCTX-M gene. blaSHV and blaTEM were not present as a single genotype. This result is not in agreement with the study of Kaftandzieva et al [39Kaftandzieva A, Trajkovska-Dokic E, Panovski N. Prevalence and molecular characterization of extended spectrum beta-lactamases (ESBLs) producing Escherichia coli and Klebsiella pneumoniae. Prilozi 2011; 32(2): 129-41. [PMID: 22286618] ] where they reported blaTEM + blaSHV as the most common combination.